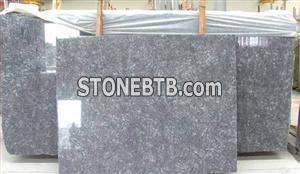 Granite Tile Size: 305mmx305mm, 457mmx457mm, 300mmx600mm, 600mmx600mm, 800x800mm, etc. for tiles. Blue Cecilia Granite Slab Size: 120upx240up in 2cm.3cm.4cm thickness for Granite slabs available in market. C. Granite Kitchen Countertop and Granite Vanity top. D. As Per Customers' specification and cut to size. 2) Blue Cecilia Granite Slab Finishes:polished, honed, flamed, sandblasted, bush hammered, chiseled, and so on. 3) Blue Cecilia Granite Slab Usage: It is considered as a good construction material for interior and exterior decoration. 4) Blue Cecilia Granite Slab Packing:In standard wooden crates. Welome the customer's inquiry with your specification, we will try our every best to offer you our best price . We are the Chinese granite manufacturer, if you interest with any of our products, please contact us, thank you. Long-term supply Granite G635, G654, G664, G681, G687 and tiger red etc.Welcome any inquiry!